Wilderness experience in little cabin. Location cross to Mosquito Creek. 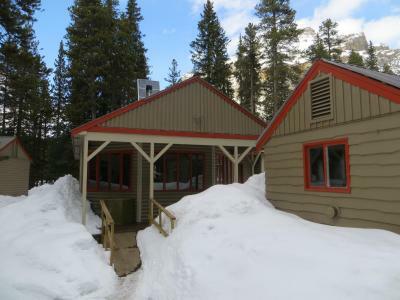 It's a good location and good value in the midst of very expensive lodging. Very wilderness accommodation don't go there expecting all the comforts because you will be disappointed more your outdoor experience. This a great location. 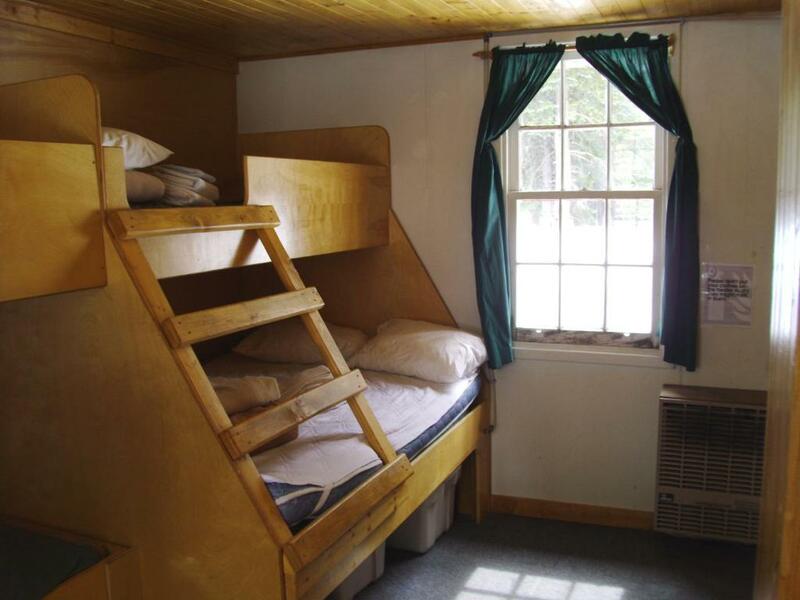 The river is all you hear as you go to sleep in the super comfy bunk beds. 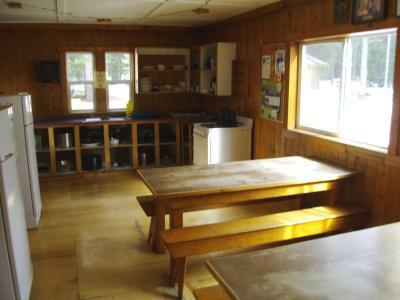 The common room and the kitchen are also really nice. Very quiet .you can see many stars here in evening.enjoy the moment which no one bother you bcuz there is no signal! 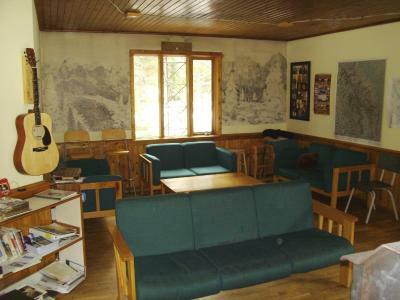 As long as you’re aware that this is a rustic hostel then it is fantastic. Wilderness essentially meaning no running water/showers/WiFi. 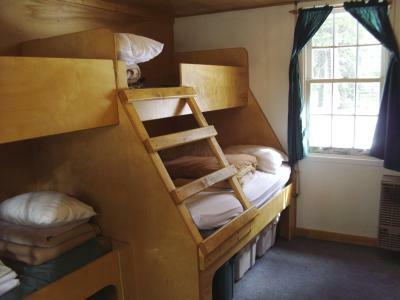 Clean facilities, potable water on tap, lovely shared space, comfortable bunks. Great location to do some fantastic walks such as Cirque Peak. 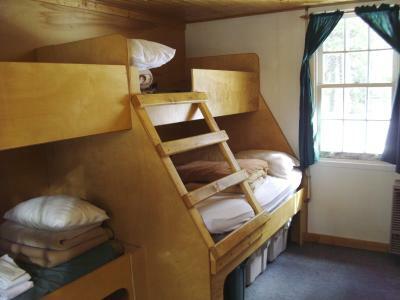 It was great if you know that it is a wilderness hostel. You can make a fire in the living room. 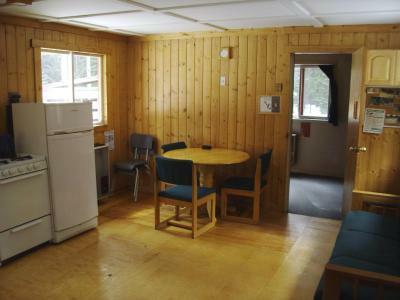 Despite being a wilderness hostel, you have limited WIFI connectivity. You have a sauna on sight. 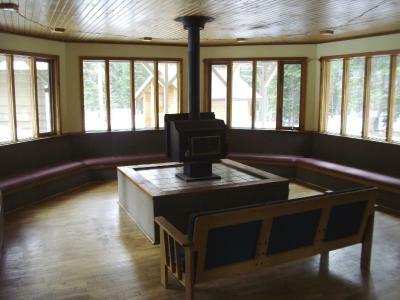 We loved the sauna and the fire place in the kitchen. We met interesting travellers there and the man who shared his pasta was awesome! The river that runs right beside the place was beautiful and we couldn't resist washing up in its cold water. You are in the middle of the forest with no signal, electricity or showers. A unique experience. We did not know there was a lack of showers until we got there. 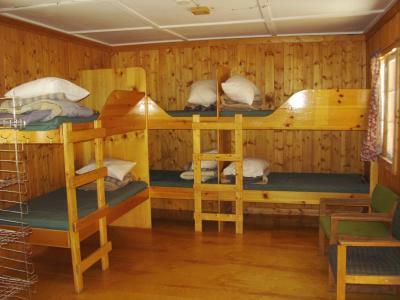 Luckily there is plenty of Hi Hostels around and they are all happy to allow you use their facilities. We went to Hi Lake Louise and they were extremely welcoming. 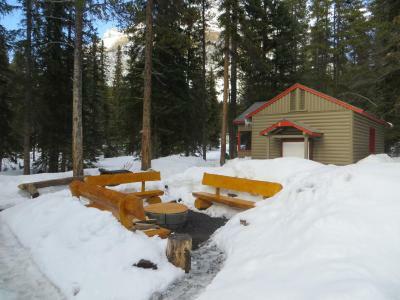 Located 20 minutes’ drive from Lake Louise in an isolated setting, this hostel offers shared kitchen facilities and a wood heated sauna. 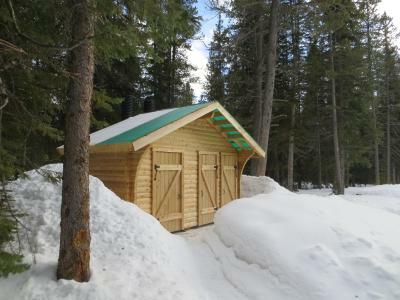 Cross-country and backcountry skiing are available on site. 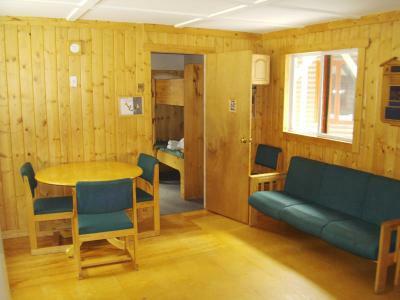 Wooden furnishings feature in the heated accommodations at HI-Mosquito Creek Hostel. Linen is included. 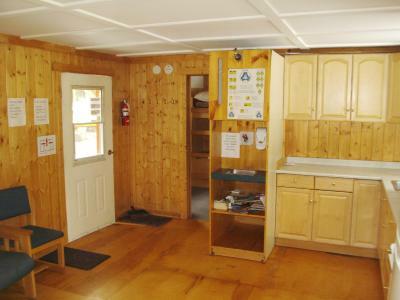 Shared toilet facilities are outhouse facilities (there are no showers and no running hot water). 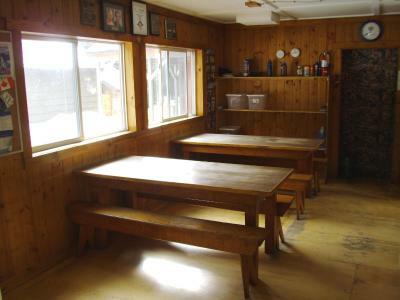 Offering no electricity, guests of Hostel HI-Mosquito Creek can enjoy a rustic experience. Free snowshoe rental is available. An outdoor seating area includes a fire pit. 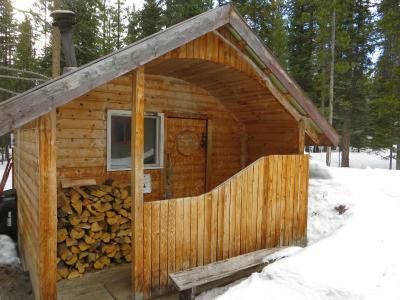 This property is also rated for the best value in Lake Louise! Guests are getting more for their money when compared to other properties in this city. 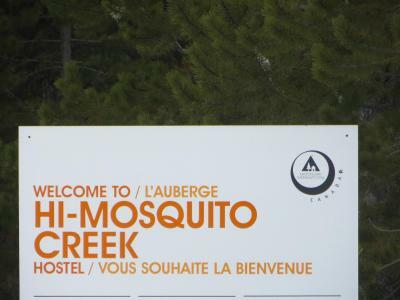 When would you like to stay at HI-Mosquito Creek Hostel? 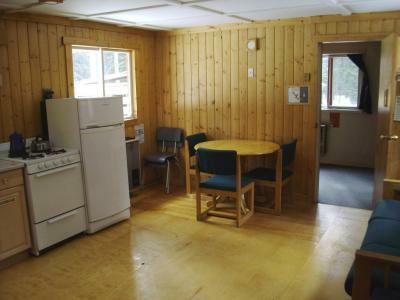 Offering a bed in a mixed dormitory room, guests of this heated room can enjoy mountain views. 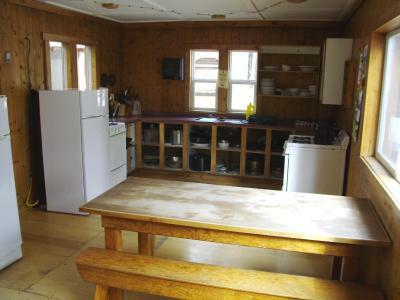 Access to shared kitchen and toilet facilities are provided. 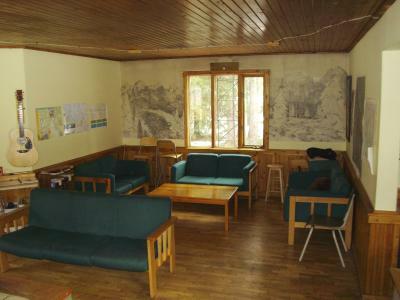 Located in a cabin separate from the main hostel building, this family room enjoys wooden furnishings and mountain views. 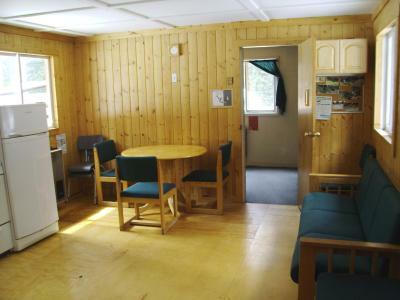 Kitchen and toilet facilities are shared with another room in the cabin. Hostelling International is a membership organisation. All non-members can purchase a membership card upon arrival or an additional 10% fee will be added to the room rate. See the fine print for more details. 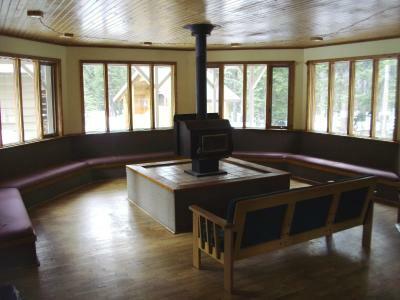 House Rules HI-Mosquito Creek Hostel takes special requests – add in the next step! All children under 12 years are charged CAD 50 per person per night when using existing beds. 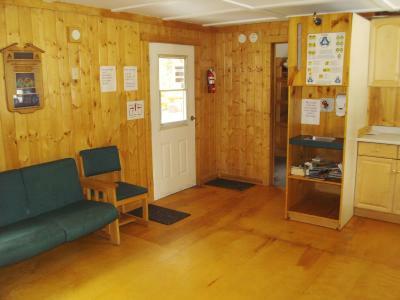 HI-Mosquito Creek Hostel accepts these cards and reserves the right to temporarily hold an amount prior to arrival. Please note that HI/YHA discounts are not available to members as part of this booking. Special policies apply for group stays of 10 or more people and different terms and conditions will apply. For the safety and comfort of all guests, children 12 and under are accommodated in private rooms only. Children aged 13 to 17 who stay in shared dorm rooms must be accompanied by a legal guardian. Please contact the hostel directly for exemptions to the hostel age policy. There is no bath, no internet (no wifi), restroom away from the bedroom, outside. It was 40cm snow outside. Just off the main road so not truly “wilderness” although couldn’t hear the road noise. We had a great stay! Everything was very clean and the communal areas provide a great chance to meet new people and get great travelling tips. This is a wilderness hostel which means there are no showers and no wifi but it's a great location with very friendly staff and other travellers. 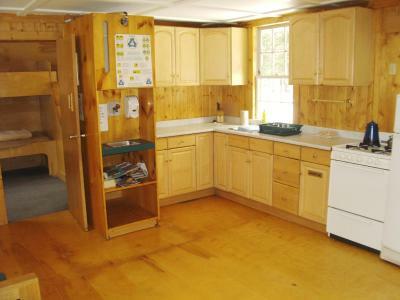 There's also a sauna! Wifi was just available for an hour. No shower, electricity and shop. Everything was wonderful, but it would have been nice to be given the option of checking in before 5 p.m. My sister and I were with our 80-year-old mother, and while she's fit and capable enough for us to go xc skiing for the afternoon, we would have loved to have a little more time to relax between skiing, dinner and bed. The accommodations, and custodian, were great. It was freezing at night and the manager appeared not to be a fan of having the heat on. He kept coming in and turning it down which is fair enough but not when its -15c outside. 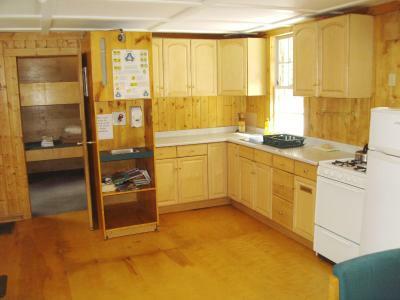 It has little to zero home comforts but it is as can be expected. 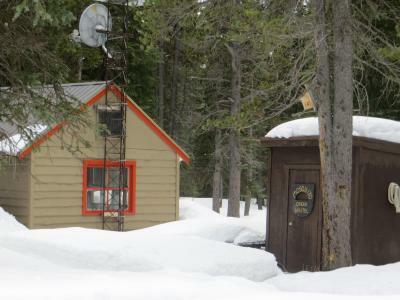 for example, no running water (its frozen), no wifi, no phone service, no electricity, no flushing toilets. Like I say this is as to be expected. 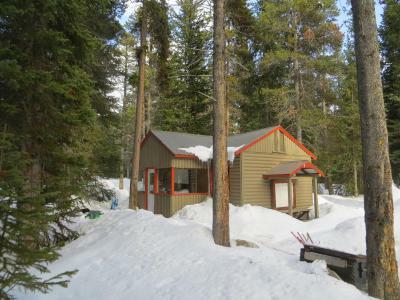 The location is stunning, deep in the rockies mountains with at least 3-4ft of snow all around. It is truly beautiful. 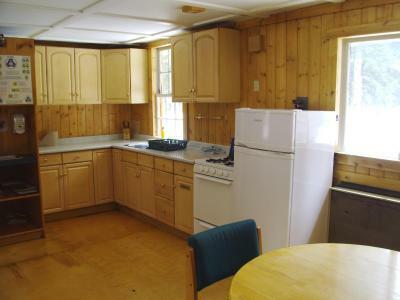 The sauna is lovely with a large common room and kitchen available. It is very rural with no 'home comforts'. Too cold and too remote. The sense of community among other travelers. High price for the facilities provided (especially when compared with B/B places we stayed in). Parking some distance away and outside the enclosure. Making own bunk bed with blankets used by many people. Lack of water and an area to clean teeth, have a wash etc. Toilets a fair way from the sleeping area. Friendly manager. Torch lent. Clean sheets and pillowcase. Staff could be just a little more welcoming. No shower and no electricity, so wouldn't want to stay for an extended period. Bit scary going to the outside toilet in the middle of the night! 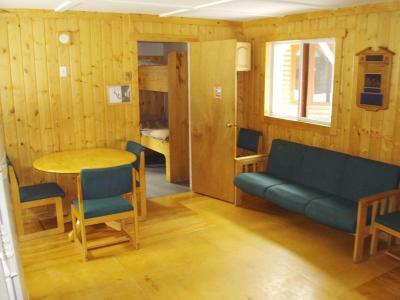 When signing up for a wilderness hostel - you know what to expect, but it is a bargain. Dorms were absolutely fine. 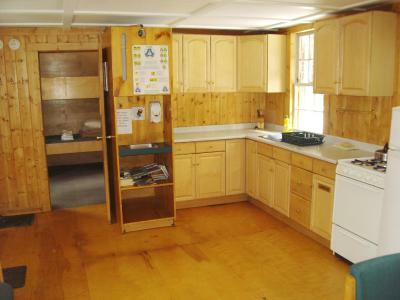 Kitchen was fairly small, but serviceable.